I promised myself I would post more restaurant reviews in 2019 so heeeeere I am with the first one! 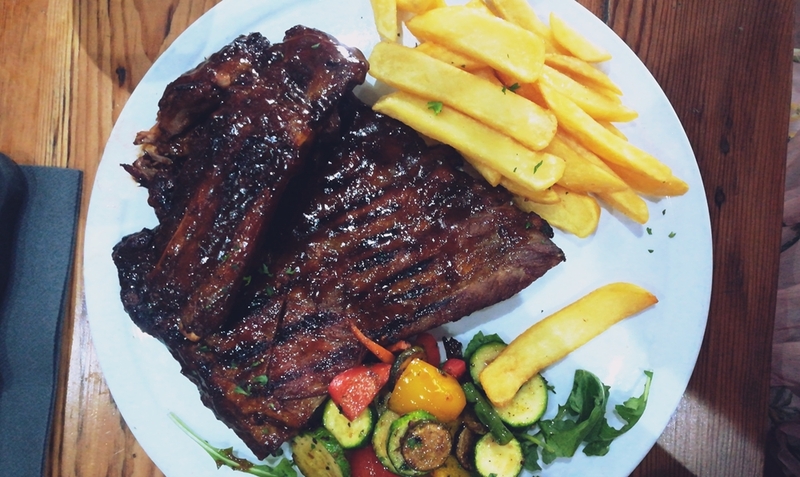 Featuring The Italian Kitchen, located in Diep River in Cape Town. While I have traveled Italy extensively (Rome, Florence, Tuscany and more), I am not a fan of pizza and pasta. GASP! Can you even believe it. I may as well say I am not a fan of baby animals. But alas, it is true, I don’t just like either so I generally do not gravitate towards Italian style eateries. Nevertheless a family member gifted me a “dinner for 2” voucher for Christmas and, come January, the free meal was SO appreciated! Boyf and I headed off to the new Italian Kitchen in Diep River (there is an older branch in Tokai) and were served by a super cute, cool younger lady. Immediately we ordered drinks (house white for me, beer for the boyf) and let the know that we had a Wikideals voucher and she explained the procedure to us. Side note: I have never used a meal deal voucher in my life so we had no idea what to expect. We opted to add starters into the meal at our own cost to share. We went with the most DIVINE options. 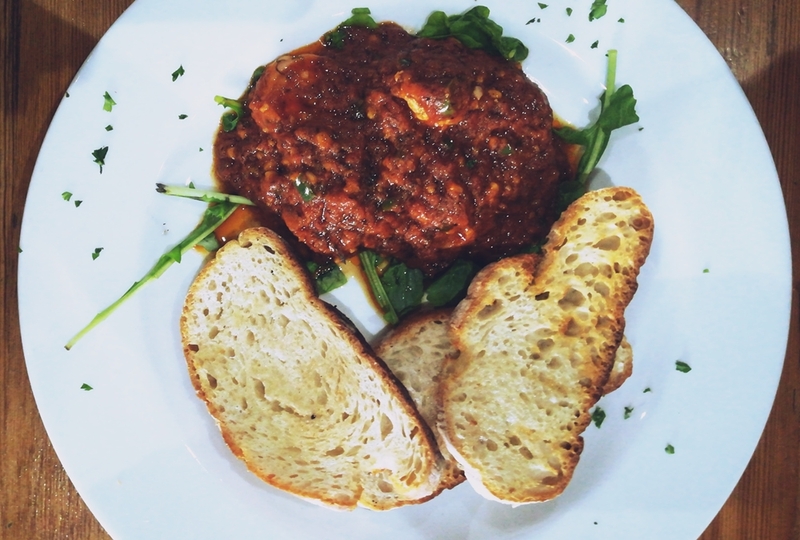 Chili Prawns with Bruschetta (Sundried tomato pesto, red chilli, rocket, bruschetta) for R90. The picture isn’t too appetizing and you can’t even see a single prawn in there! But it was so so divine and a very generous portion; there were about 8 prawns in there. 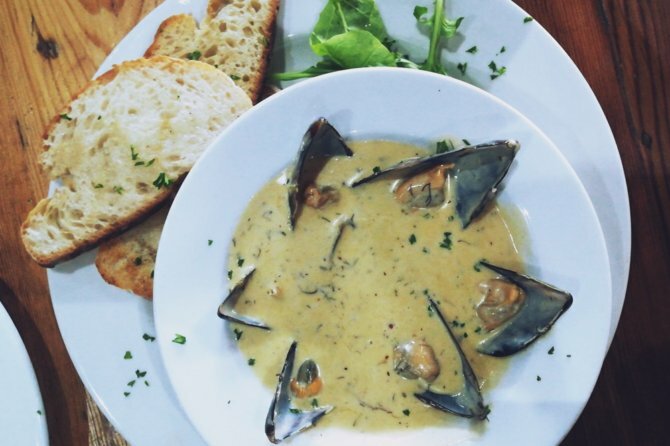 The second starter was the Mussels (Served in a blue cheese, cream and beer sauce) and bruschetta for R90 and again, it was out of this world. I have to say that both the starters were the star of the show for me. The mussels were sooo good and the sauce had me eating it like it was soup. Addicive! 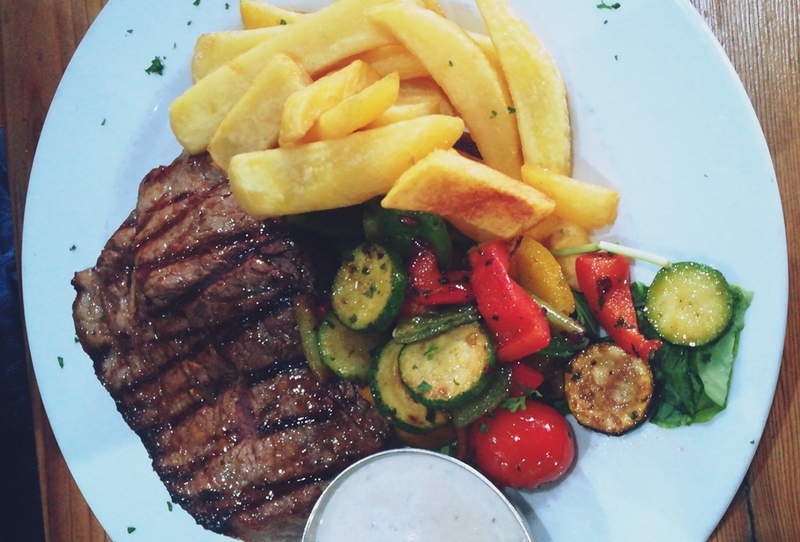 Chris says that his fillet, while it didn’t look amazing, was one of the best he has ever had. And this is a man who chooses to visit a steakhouse whenever he can. He said the meat was like butter and the knife just slipped through the fillet. The dessert menu was an impressive one and I opted for the ice-cream cake (R50), while Chris went for plain old ice-cream and chocolate sauce (R30). 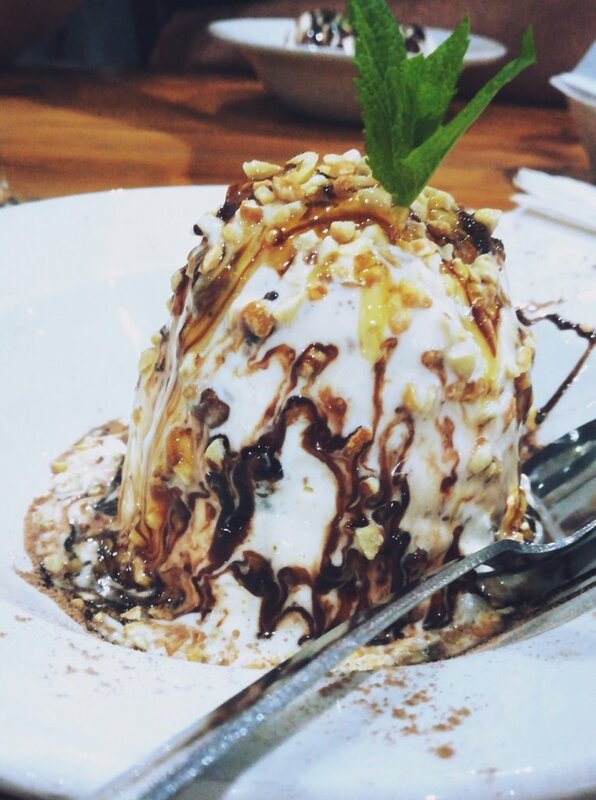 My dessert was a bit of a letdown unfortunately as the combination of ice-cream, flake, honeycomb etc was all so divine but the coldness of the ice-cream basically forces your tastebuds to cancel out the other flavours. So overall a really sweet little place to pop in for a casual dinner. The floor got really busy by about 8PM (we arrived at 6PM), busier than restaurants usually would be for a random Thursday evening! It seems to be a solid neighborhood favourite.